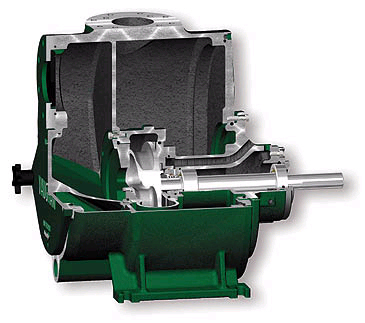 Vaughan's Self Primer centrifugal chopper pumps are the only designs of their kind available, with the unique combination of a conventional self-priming design with the unique chopper impeller and cutter bar arrangement. The 4" through 10" designs are exceptional for retrofitting existing self-primers with clogging problems. The latest 8" and 10" designs boast the highest efficiency and output of any self-primer available.